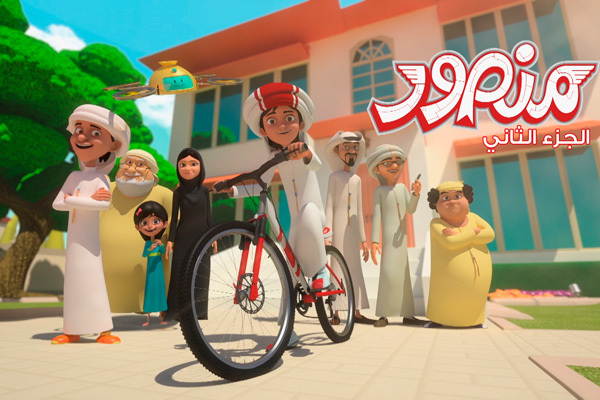 The second season of the popular Emirati cartoon Mansour is set to air across the Middle East and North Africa (Mena) region on Cartoon Network Arabic in January next year. Mansour Cartoon returns with its unique blend of multi-national characters and meaningful storylines revolving around the heritage and values relevant to the region, said a statement. Season Two will continue to discuss key social topics such as education, health and culture in an engaging manner, while introducing new characters and storylines that will resonate with a wider regional audience, it said. Mansour was conceptualised in 2011 with the support of Mubadala, the Abu Dhabi investment and development company, in an effort to connect with youth about healthy lifestyles, careers in knowledge-intensive industries and culture. Building on the success of the show’s first season, a partnership with Cartoon Network allowed Mansour Cartoon to both harness the production expertise of the world-renowned Cartoon Network Studios Arabia while and extend to the wider Middle East and North Africa (Mena) region through Cartoon Network Arabic, said the statement. An agreement is already in place for the production of Season Three of Mansour, it said. Twofour54, Abu Dhabi’s regional centre of excellence in content creation and home of Cartoon Network Studios Arabia, is providing facilities for the production for the Mansour Cartoon.